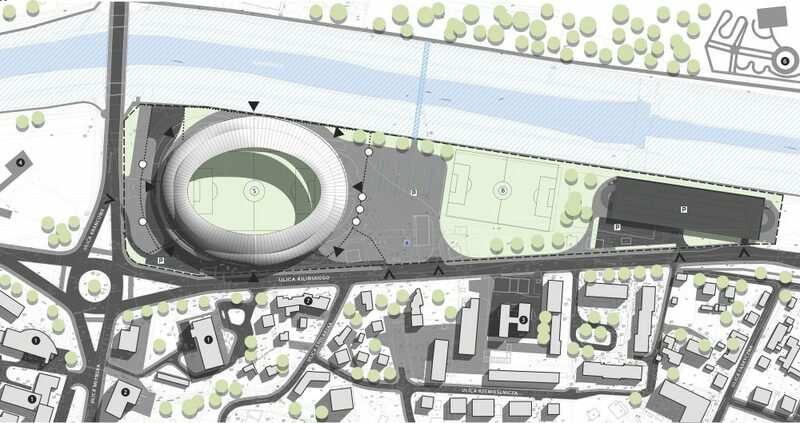 The concept foresees a unified, fully enclosed football stadium in the place of old multi-use Stadion im. Władysława Augustynka. 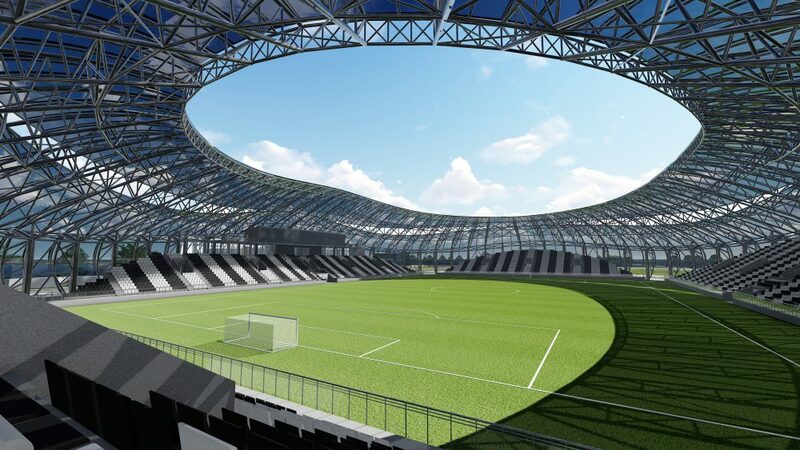 Total capacity of 8,500 seats would allow it to reach UEFA Category 4 and meet all criteria for international games, let alone domestic. 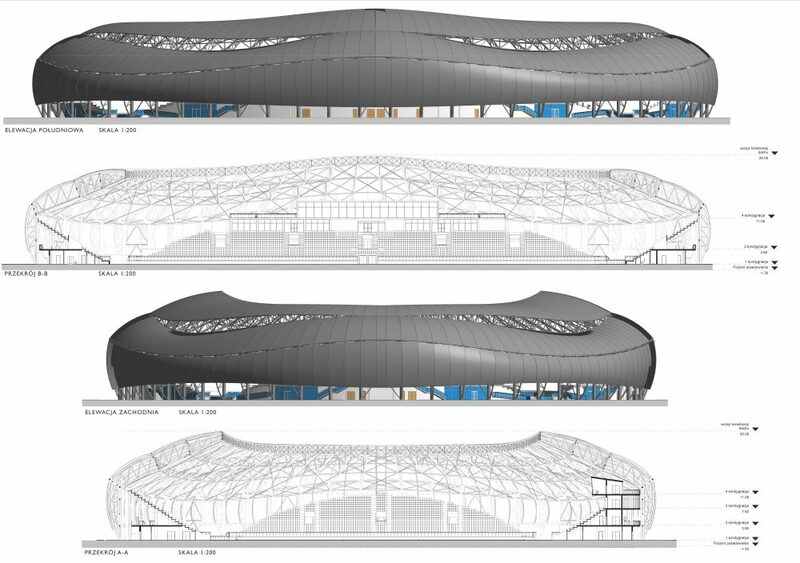 With limited demand, the auditorium would be divided into 4 independent stands, each with a single tier. Both ends would only have one level of floor space for catering and sanitary use. 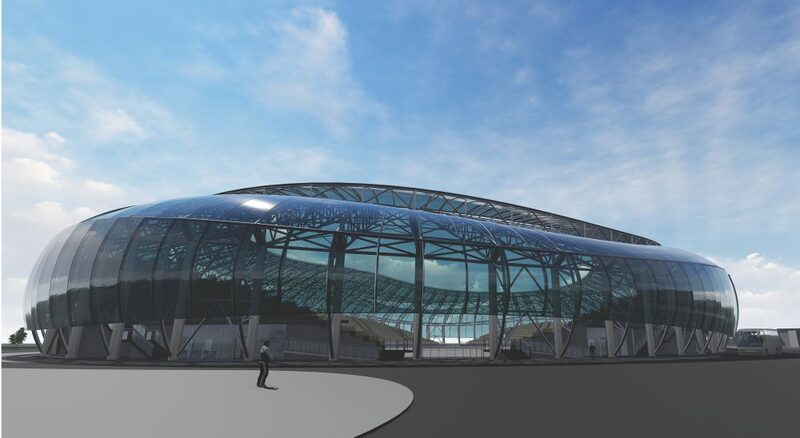 The north side would offer two levels, while the main south side would have 4 floors, including corporate hospitality, commentators cabins and command centre. 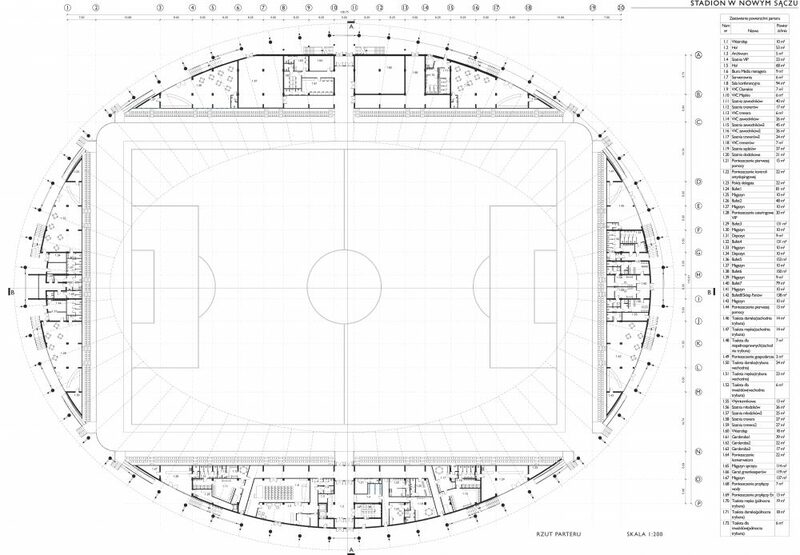 The signature feature of this stadium would be its dome, divided into two interconnected rings. 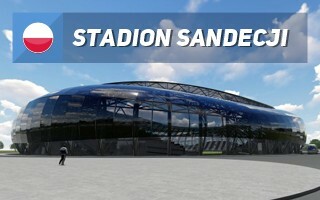 Covered with translucent material, the dome would reach 26 meters, well enough to avoid erecting floodlight masts. 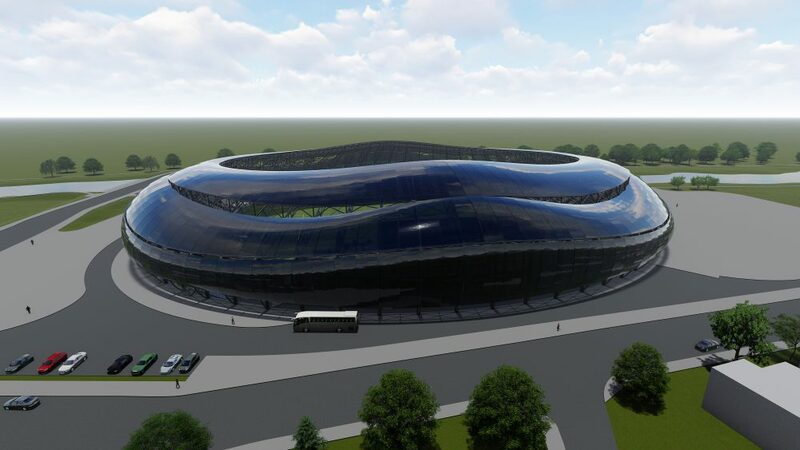 Though the concept is considered official by the municipal authorities, it has no bearing on how the actual new stadium in Nowy Sącz will look. It's a master thesis by Tomasz Trzupek of the Krakow University of Technology as one of the potential ways forward.